If you dream of becoming a licensed skydiver and live in the Detroit, Ann Arbor, Lansing, or Jackson area, Skydive Tecumseh is the dropzone for you! 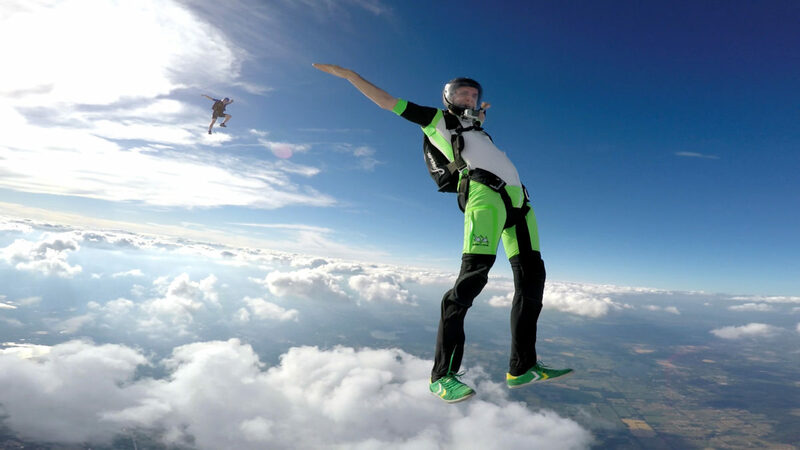 Skydive Tecumseh offers the most comprehensive suite of Skydive Training Courses in Michigan. Our highly experienced team of USPA-certified instructors will guide you every step of the way through your training course. Whether you decide to enroll in our AFF program or our IAD program, you can rest assured that our #1 priority is helping you become a confident, safety-minded, independent skydiver. Below you can view our skydive training costs for the initial ground school training, first jump, and subsequent coaching jumps. Your ground school/first jump course can be booked online via our secure online booking system. If you have any additional questions about our training programs, please contact us – a member of our team will be happy to answer any questions you may have. Accelerated Freefall is one of two methods to help you achieve self-supervised status. AFF begins your training from the top down, you’ll start with a skydive from 14,000 feet with two instructors, then progress to one instructor. Ground School & First AFF Skydive Training Course & First Jump	 $369 Go! Ground School Only Training Course	 $170 Go! Instructor Assisted Deployment is one of two methods to help you achieve self-supervised status. IAD begins your training from the bottom up, you’ll start with a skydive from 3,500 feet, then progress to higher altitudes! Ground School & First IAD Skydive Training Course & First Jump	 $260 Go! Once you are “self-supervised”, coaching jumps will allow you to complete the 25 jumps required to earn your A license, and become a certified skydiver!